Suppose $y$ is a quantity that depends on $x$. That is $y = f(x)$. 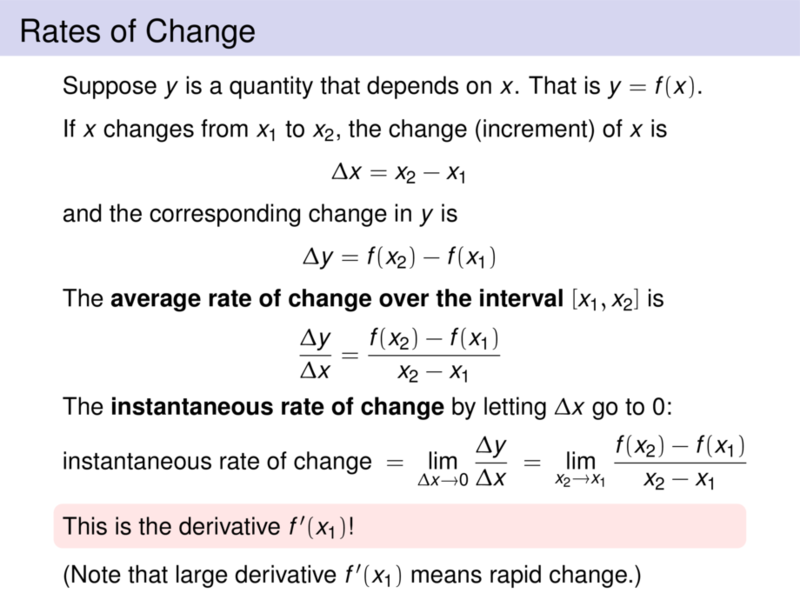 This is the derivative $f'(x_1)$!